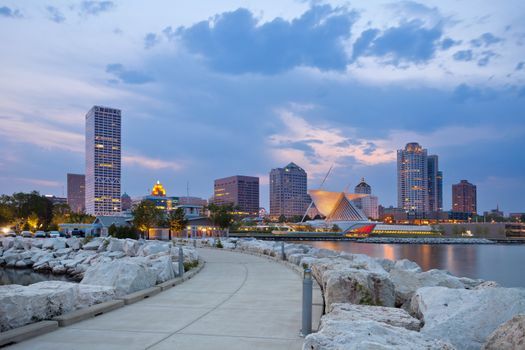 Milwaukee might not come to mind when you’re thinking of romantic couples’ vacations along the lakefront, but this big city offers plenty when it comes to beautiful views and exciting attractions. Check out these tips to find romantic Milwaukee vacation rentals, and enjoy a Midwestern getaway. 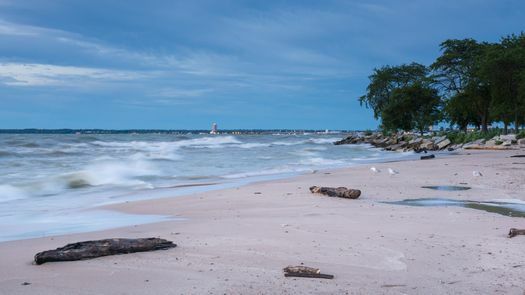 Wander the shores of Milwaukee along Bradford Beach’s soft sand and sparkling lake waters. With the city looming behind you, Bradford Beach offers an exciting view of the towering skyscrapers from your beach chair or your water float. Check out Summerfest and enjoy music all along the lakefront with dozens of festivals that draw tourists from all around the world. Wander the Historic Third Ward for a glimpse of Milwaukee’s vibrant art scene, plenty of interesting boutiques and galleries that highlight the beauty of the Midwest. 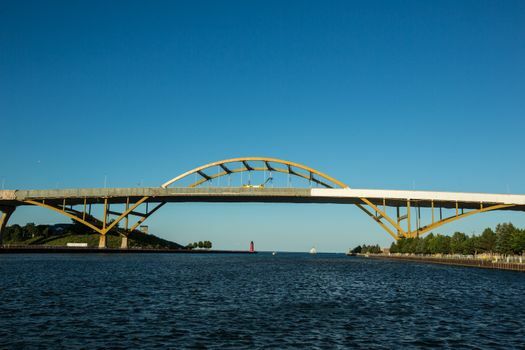 From June until September, the summer season in Milwaukee provides visitors with tons of activities, lovely lakefront restaurants and vacation rentals and a battle for the best lodging. However, plan to skip the summer there if you want to find more options when it comes to romantic lakeside vacation rentals. Keep in mind that the water cools quickly in the fall, making it chilly for swimming but ideal for sunset views. Late spring and early fall offer a break in the vacation crowds, making it easier to obtain the top couples’ vacation homes and rentals by the lake. 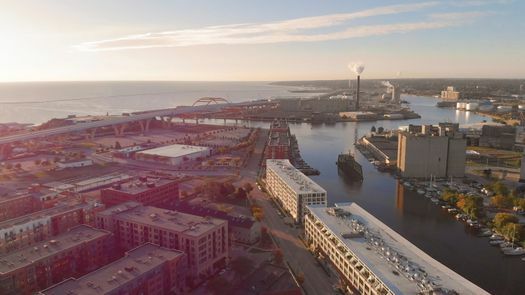 Lake Michigan’s waterfront bordering the city of Milwaukee is loaded with places to stay that offer romantic sunsets and access to fun attractions. Pick a house with views of the bay just a few miles from Summerfest in Downtown Bay View. Overlooking the lake and offering a pretty covered patio, homes along this area of the lake provide an ideal space for couples to fall in love with each other and Milwaukee. 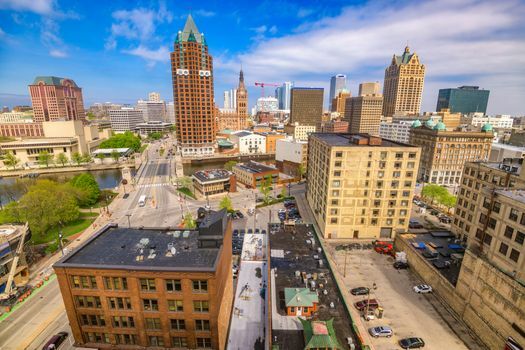 Enjoy a gorgeous home or condo in the Historic Third Ward area of Milwaukee and enjoy some of the best dining in the city. A small peninsula juts into Lake Michigan and offers space for condos, apartments and homes with lovely lake views. Pick out a River Place loft, or explore a lovely Victorian home that provides space for a romantic vacation getaway. Not all Milwaukee vacation rentals are created alike, and finding your favorite amenities makes it easy to create a romantic getaway. Look for hot tubs, private balconies with views of the lake and gourmet kitchens to create some romantic ambience during your stay. Rentals within walking distance of great restaurants, boat tours of the city and shopping opportunities also provide you with fun things to do when you’re exploring the city.